This historical collection of USGS 15 minute topographic maps dates from the 1890s to the 1950s. Geographic coverage is complete for New Hampshire and nearly complete for the rest of New England. This is a great warehouse of historical maps of New England. 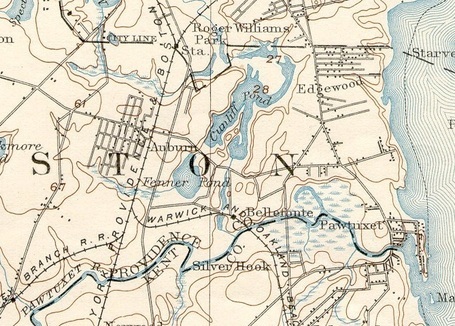 The picture above what is today South Providence and Cranston, but in 1894 the area around the lakes was a part of the City of Cranston. Why would the city of Cranston ‘lose’ territory? When did this happen? This is just one example of the questions in historical geography that this resource can inspire.